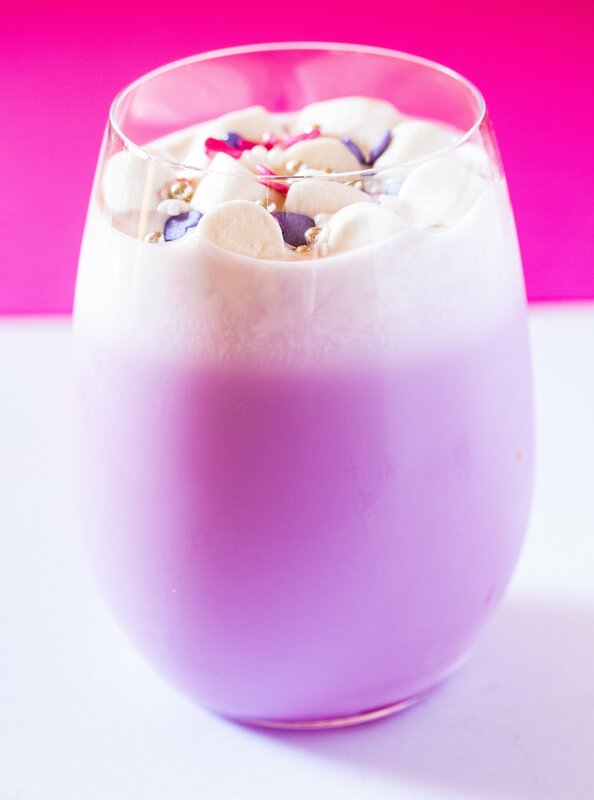 Purple Velvet Hot Chocolate is a dreamy and romantic twist on delicious homemade white hot chocolate. 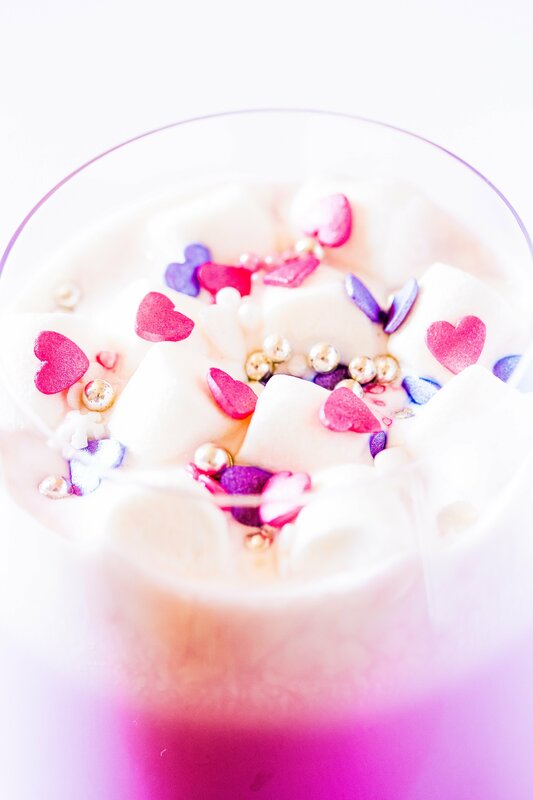 Topped with whipped cream, marshmallows and colorful sprinkles, it’s a gorgeous and delicious drink. It turned out to be such a gorgeous drink, and while I know Valentine’s day is far, far away, I really do think this would be great romantic drink for it. 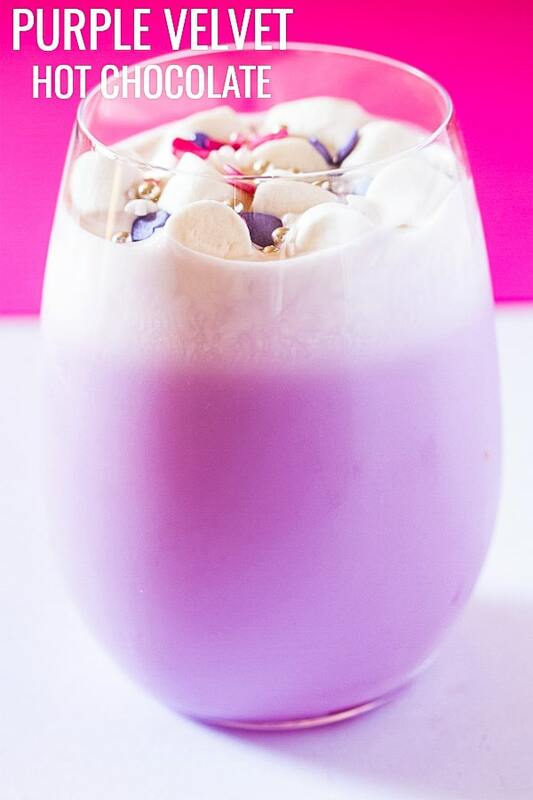 But honestly while I was mixing in the violet food color into my homemade white hot chocolate, I was like OMG this does not look pretty, because it was a weird color while mixing. 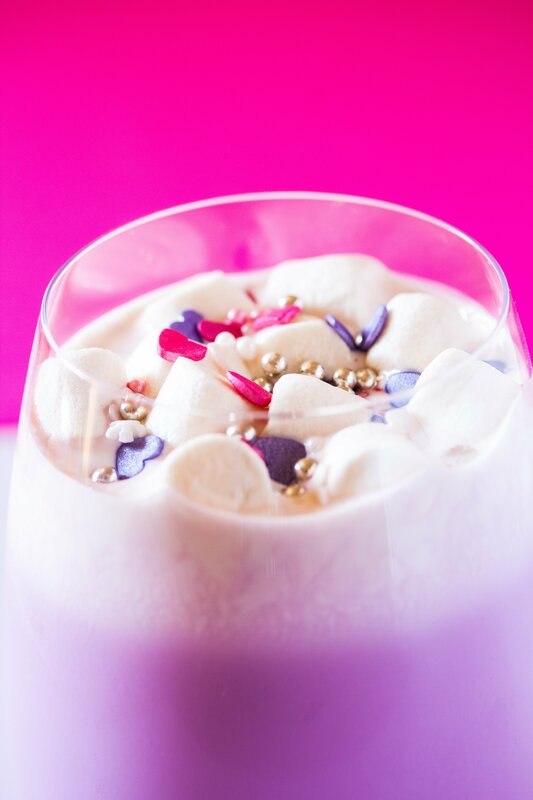 But then it started looking pretty (as the food color mixed in), and quite honestly this Purple Velvet Hot Chocolate has to be my favorite…because it’s SO pretty! So this hot chocolate uses my recipe for creamy homemade white hot chocolate as a base. The rest is quite easy, you add a couple of drops of violet food gel color and whisk away! Note: I would highly recommend using food gel color as that gives a great color without using too much food color. And then top with whipped cream and sprinkles and mini marshmallows. Oh, so very pretty! 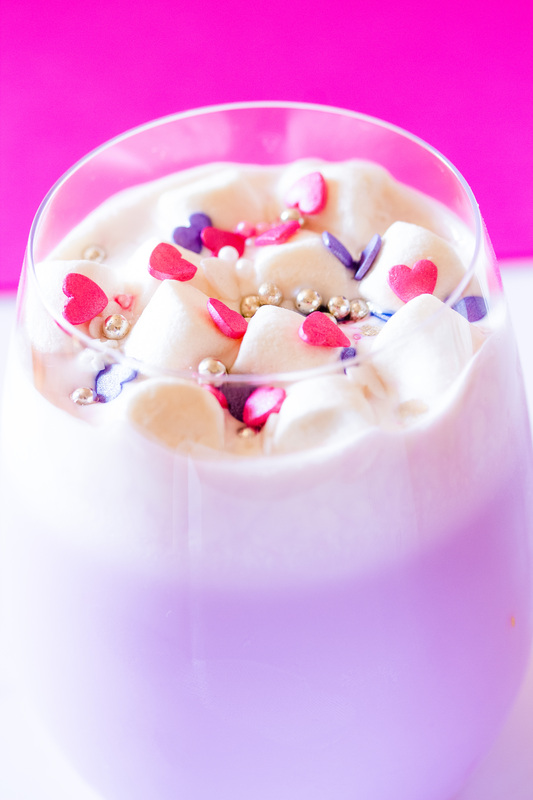 Purple Velvet Hot Chocolate is a dreamy and romantic twist on delicious homemade white hot chocolate. 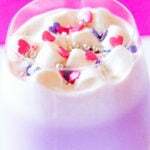 Topped with whipped cream, marshmallows and colorful sprinkles it's a beautiful delicious drink! In a medium sized saucepan combine the milk, white chocolate and vanilla. Gently heat to a simmer and keep whisking until the white chocolate has completely melted. Add a few drops of purple food colour and keep whisking until you reach the desired shade of purple. Top with whipped cream, mini marshmallows and assorted sprinkles.